Home / Unlabelled / APC Rejects Fayose. 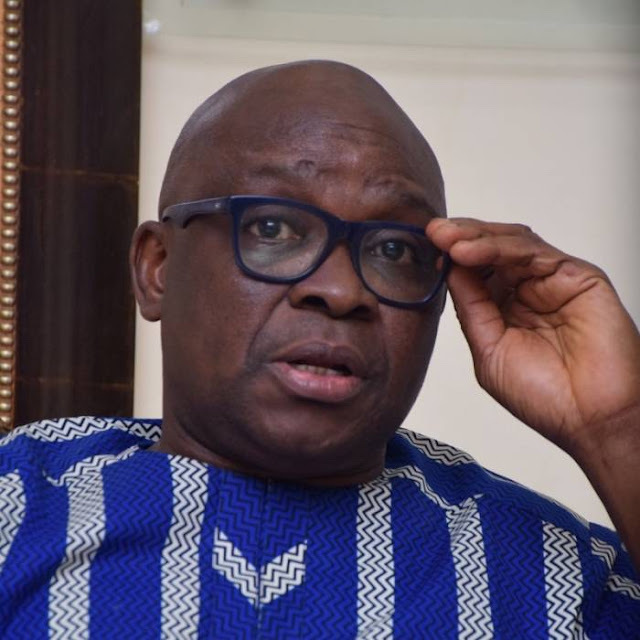 Less than twenty four hours after he threatened to leave the People’s Democratic Party (PDP), the All Progressives Congress (APC) in Ekiti State has said Governor Ayo Fayose is not wanted in its fold. The state APC Chairman, Mr. Paul Omotoso and party chairmen in all wards in Irepodun/Ifelodun local government, where the governor hails from and all wards in Ado-Ekiti, where he lives and has businesses that he is not welcomed in the party. The warning came on the heels of reports that Fayose had concluded plans to dump PDP following the emergence of former Vice President Atiku Abubakar as the PDP presidential candidate as against Sokoto State Governor Aminu Tambuwal who was supported by Fayose. In a statement on Tuesday by the APC Publicity Secretary, Mr. Ade Ajayi, said the party leaders advised the outgoing governor to conclude his court cases bordering on sundry alleged crimes before contemplating to join APC. He said: “We want to prove to the world that APC will not provide sanctuary for criminal suspects, political prostitutes and lepers. We will never admit such character to this party and we advise Fayose to play his politics of destruction somewhere else. In a statement, Omotoso told Fayose that APC “is a political party bounded by common ideals of integrity, openness, discipline and commitment to common goal of progressive governance, which Fayose does not possess or believe as can be seen from his style of politics and governance”. He added: “Fayose over the years abused, disrespected and openly denigrated President Muhammadu Buhari, the leader of our party who is also the President and Commander-in-Chief of the Nigerian Armed Forces. “Fayose is coming to destroy our party and ensure President Buhari does not get a second term in 2019 and we won’t allow Fayose’s evil plan to materialise”. Omotoso vowed that on no account would Fayose be admitted into the APC. He advised Fayose to look elsewhere for a political party that he will destroy after destroying three national political parties when he found it difficult to control the parties. Alliance (PPA) and at a time he also destroyed PDP before his current activities that led to the present sorry state of PDP in Ekiti State. He warned all ward chairmen where Fayose lives and runs his businesses against accepting him to the party. He added: “Our party is not a sanctuary for criminal suspects, political lepers and serial destroyers of the parties they once belonged. “We hereby warn ward chairmen where Fayose lives or runs his business against admitting him to our great party. BBOM in a statement on Tuesday by its Coordinator, Gbenga Ogedengbe, said that the mandate given to Olusola by Ekiti PDP in the last governorship election in the state is not for sales and that the mandate of the people which he claimed was stolen by the APC will be retrieved at the election petition tribunal. The statement read: “It is important to note that Fayose’s deputy, Prof. Kolapo Olusola Eleka, who doubled as the PDP candidate in July 18, 2018 Ekiti governorship election is currently seeking judicial redress at the Ekiti election petition tribunal holding in Abuja over series of alleged irregularities in the conduct of the poll which returned Dr Kayode Fayemi of the APC as the governor-elect. “We are not unaware of Governor Ayodele Fayose romance with the APC and his several unrealistic demands with the aim of paving way for a make believe excuse that would enable him save his face while he goes by the way of Akpabio. “Fayose is afraid of being persecuted by APC attack dogs after leaving office. While wishing the outgoing Ekiti governor a safe trip to APC we are warning APC to avoid being fooled by Fayose as any promise to stop or frustrate the ongoing tribunal by Fayose is simply an empty promise.